The first solo Boltfish release from Line Noise, Florida-based owner & curator of LacedMilk Technologies. "Rudy Gonzalez lives in Southern Florida, where for some years he has produced electronic music and become known for both downtempo rhythms and breakbeats - elegant sounds that make a beautiful new addition to the English label Boltfish's catalogue. "Auralspace Divine" contains four tracks that whilst playing individually could also be conceived as one track ("The Sea Glider", "Blue Sea Aevum", "Blue Sky Ely Pt I" etc. ), and they are a perfect introduction to the art of the young Gonzalez." "A new EP for net label Boltfish this month, from veteran online musician Line Noise. Rudy Gonzalez the man behind the project has been creating electronica since around 2000, but to hear the quality of music presented and how many releases this prolific artist already has to his name, you'd be amazed to think Line Noise is little more than a few years old. Besides running his own net label (the superb Lacedmilk Technologies), Gonzalez releases his music on countless other labels - Camomille and Openlabs instantly springing to mind. Auralspace Divine is a four track EP of mixed electronica. Starting in true style, The Sea Glider is a track Modern Love would be proud of. Detroit basslines bouncing all over the place, acid tweaks, machine gun percussion, Rhodes and a hybrid of techno, house and electro. Blue Sea Aeveum introduces stammered drum & bass beats, yet closer Blue Sky Ely PtI sees sweeping melodies from gliding synths battling for space with harsh electro beats. 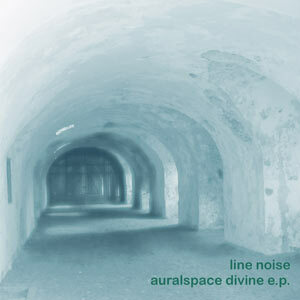 ""Auralspace Divine" is the debut solo release of Line Noise on Boltfish (Sep 2005). As far as releases in general go Line Noise is far from being a newcomer though, a quick count on affiliated netlabel Lacedmilk Technologies alone ends at six album releases and that's not counting collaborations and aliases. The four track release on Boltfish features some straight-forward beat programming and solid basslines. The first track "The Sea Glider" has a nice build-up dry beats and large amounts of bass molded after the haydays of that good old drum'n'bass and would have been aimed directly for the dance floor in that era. Love the bassline. "Blue Sea Aeveum" seems to be an edit on the previous track and starts off exactly where the "The Sea Glider" faded out. Excellent piano that is unusually mixed, with a great distance and placed far away in the background of the sonic room and synthesied melodies carry the track forward. "Infinitus Victus" is the favourite and in likeness with "Blue Sea Aaeveum" it starts where the preceding track faded. Lively beats, lushous chords and the fleeing piano are combined with excellent sounds and a great rimshot based break. But the fading out of the ultra heavy bassline is cruel! Fourth and last track "Blue Sky Ely pt.I" is a string-filled story with great bassline and beats to go with them. There's something very familiar about the beats and the way they're treated but I can't put my finger on it at this moment. Anyhow it's a headnodder. Line Noise contributed with the track "Blue Sky Ely pt.II" on the recently released "Mercury Scales" compilation."